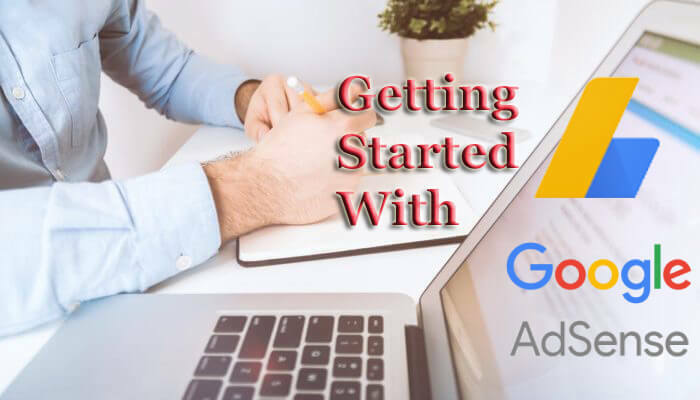 A very important element in the rapid adoption of AdSense is that it has been very easy for publishers to get the ads on their site as quickly as possible. Integrating AdSense in your website takes only a few minutes, and you can be on your way with one or more nicely integrated AdSense ads. The first thing you need to do is navigate to Google Adsense and either apply or log in with your existing Google account and password. What follows is a page presenting the Google AdSense Terms and Conditions which you must agree to in order to proceed. You are presented with a report page which you can use to get a detailed status on how your AdSense advertising is doing. This allows you to improve your site’s contents and layout to maximize your AdSense earnings. On the top of your page, you also have a link to the setup section where you can generate the code that will need to be pasted on your website in order to have AdSense banners on your page. You can use AdSense for text (the said ads), using a search box or with referrals. Your choice among these options depends on how users will navigate your site. Finally, there is a “My Account” tab which allows you to set up details concerning your account, payment and tax information. Go back to the “AdSense Setup” tab and click the “AdSense for content” link. Make sure you have cookies enabled in your browser. You can make a choice between ad units and link units. The former contains text and or images concerning a certain site for each unit, most with a detailed description, the latter only contain links to certain types. Of course, it’s a bit hard to know which type you should use so you should probably experiment with both for a while before you decide. You can also view an example of how the unit will look to the right of your page. However, you may only use three ad units and one link unit on any given page. This is believed to be a step which Google takes for quality control. The next step is to choose your ad format and colors. You can basically select any color palette you choose with Google offering some of its own if you don’t have the time or skill to create one. You can constantly view how the palette will look through the aid of an example. The one that works best in terms of appearance and revenues will vary with the look, feel and content of a website. However, your ad formats are limited to a choice of eleven formats. There’s an “Ad Formats” link which takes you to a page that lets you see all of these in action so you can decide best which one suits your site. Sometimes the most intrusive don’t work best however again, this can vary from website to website. After you finish with customization, you can click “Continue” from the bottom of the page. You can then copy it and paste it into your pages directly. If you use dynamic pages, you should paste this code into your template so as to ensure that it gets displayed on any page of your website. Read More: 5 Ways To Improve Your Adsense Earnings. What is then left for you to do is get content on your page (provided you didn’t have any already). Google AdSense crawlers will soon visit your site, making sure that the ads displayed are relevant to your site’s content. And you’re all done. For a simple page, this should indeed be a matter of a few minutes, which is precisely what makes AdSense the choice for so many. Although it is quick, its mass appeal also makes it the best. Through being the most popular, advertisers and publishers alike see Adsense and AdWords as their natural first choice. READ How To Avoid Getting Your Adsense Account Terminated. Previous Post7 Surefire Ways To Increase Your Traffic.